Mosi Tatupu, a member of the Patriots 1986 AFC Title team, passed away in Massachusetts yesterday at the age of 54. 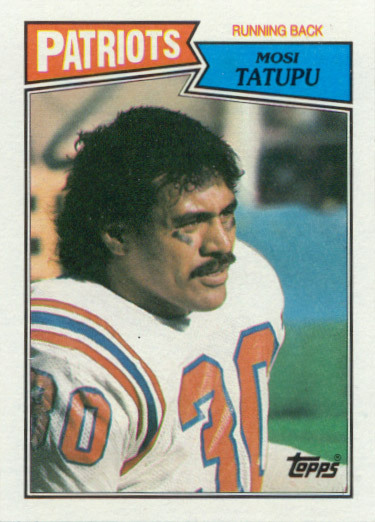 Tatupu, who was named to the Patriots 50th Anniversary team for his work on Special Teams, played for the Patriots from 1978-1990. He had been working for NCAA Division III school Curry College in Milton as a football coach. Mosi's son, Lofa, is a linebacker for the Seattle Seahawks. He attended the University of Maine for one season until transferring to USC.